Crawford IT Melbourne specialises in small business IT support with our managed IT services. We can operate as your IT manager and take over all IT support roles to ensure that your employees have an easily accessible IT support system 24/7. We are an Australian-owned and operated business that’s expressly familiar with the needs of small businesses in Melbourne. Our company was formed as a delightful consequence of business growth in Melbourne and the increasing demands for IT support, monitoring and management. No matter what industry you’re in, there’s no escaping the need for IT services. Inevitably, as your Melbourne small business grows and develops, the requirement for IT support becomes necessary to keep the wheels turning. If you could, you’d have all of your staff double as qualified IT experts and revel in a workplace that never reencounters technological hiccups. Unfortunately, with the ever-growing complexity of computer systems and networks, small business IT support has never been more necessary. 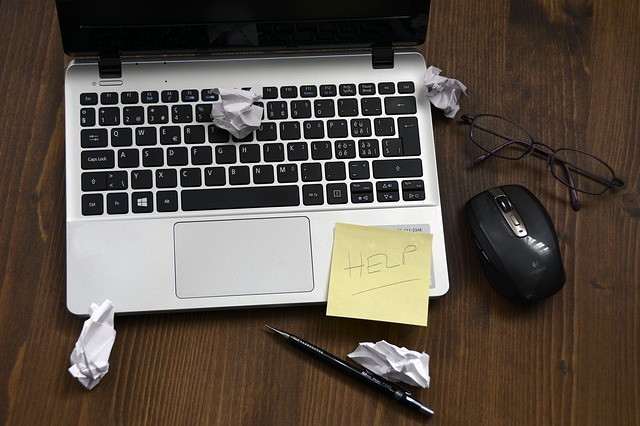 Flaws in your IT systems can significantly inhibit the efficiency of your workplace and in worst case scenarios cause catastrophic loss to profits. Without a quick and easy way to rectify issues and get your team back on track, your Melbourne small business may suffer. We understand that at your small business, work never really stops and a network crisis can occur unexpectedly. It’s for this reason that we offer around the clock – IT support services every day of the week. What’s the use of IT support if a problem you encounter cannot be swiftly dealt with as soon as it arises? We pride ourselves on timely IT support, which is easy to understand and thus implement. Additionally, we provide pertinent advice and proactive actions for your employees to take to make sure that similar issues are thwarted before they can develop. Our IT support team are easily contacted through phone, email or web portal. What Benefits can you expect with Crawford IT Support? With small business IT support from Crawford IT Melbourne, you can be sure that our dedicated team will not only rectify the issue but will determine the root cause as well as educate your staff. An informed group is a reliable and efficient team, so we always aim to communicate as effectively as possible. To put it simply, in most cases, your small business cannot function without an up and running IT system. There are enough things to deal with on a regular day of trading without having to worry about unexpected errors with your computers. During a busy day when IT support is required, it’s not uncommon for the quickest and easiest solution to feel like a victory. However, often, more long-term thinking is needed as there could be significant weaknesses in your network, which can result in future failures. Our friendly team are always approachable, articulate and highly qualified so your staff will have no qualms with accessing their services regularly if need be. Do We Offer Continued Server and Backend IT Support? Crawford IT Melbourne promptly sets up, manages and continually monitors your infrastructure while maintaining a proactive approach to security. The IT infrastructure and the foundation of the entirety of your Melbourne small business’ IT systems need to run optimally and without interruption. Data breaches can be devastating for a small business, so a secure firewall and network security become incredibly important. Small business IT support acts as an investment against uninvited intruders and damaging viruses. We offer data backup solutions through our reliable cloud servers that we can manipulate to work with any existing systems you have. Our team is always seeking professional development and keeps up to date with all the latest and most effective tools at our disposal. The experts at Crawford IT Melbourne will install antivirus programs to protect your systems from malicious malware. Security measures have never been more relevant and more reliable systems will become increasingly required. With business IT support from Crawford IT Melbourne, you’ll never find yourself in a situation where you’ll be asked to pay unexpected costs. In-house IT staff can be incredibly costly and incapable of managing multiple issues or tasks at the same time. At Crawford IT, we prioritise timely service and a commitment to solving problems and communicating effectively. We have a team of excellent people who share the passion of utilising their IT support skills to make your small business’ life more manageable. Book a time to speak with us and find out exactly what we can do in terms of IT support for your Melbourne small business. Experience the Crawford difference today!